1Engineering students competed in an electric car race. 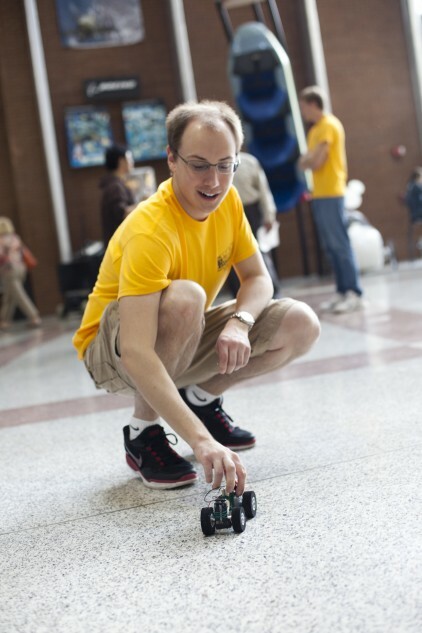 2The cars were built and designed by the student themselves and were raced across the Engineering II Atrium. 3The Duct Tape wall competition! 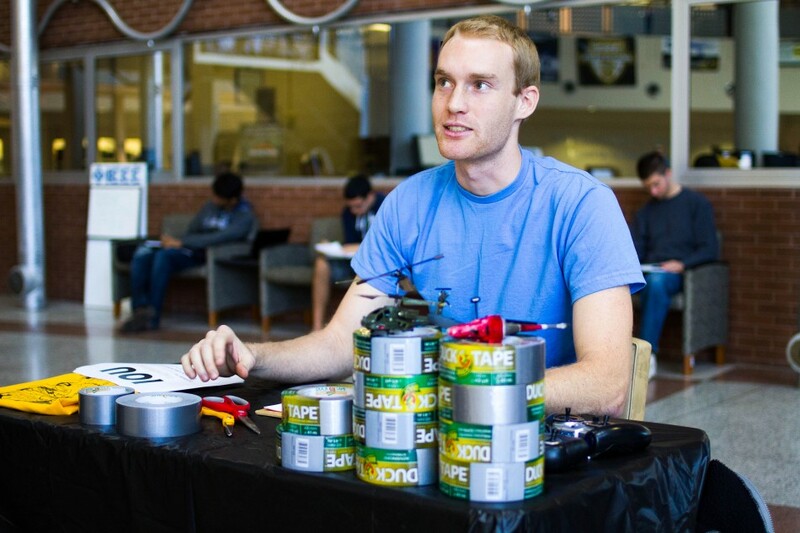 Students gathered into teams in the Engineering II Atrium to tape some people up. 4In teams, students were challenged to tape a fellow team-member to a wall in only 10 minutes. 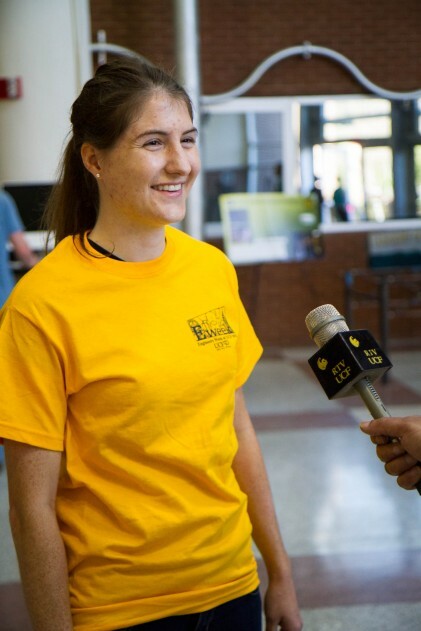 Mechanical Engineer Marie Kasprzyk was first up! 5After the 10 minutes to tape their member to the wall, the stool below was yanked out and the clock began to see how long their member could stay suspended. 6With a hang-time of roughly 34 seconds, Marie's team set a pretty high bar for the rest of the day! 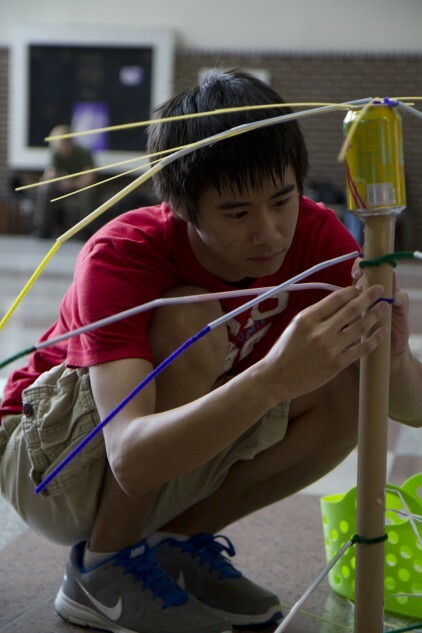 7Tower Building competition, in teams students are given a basket of random items that they had to build into a tower. 8The only catch was they cannot speak to each-other, at all. 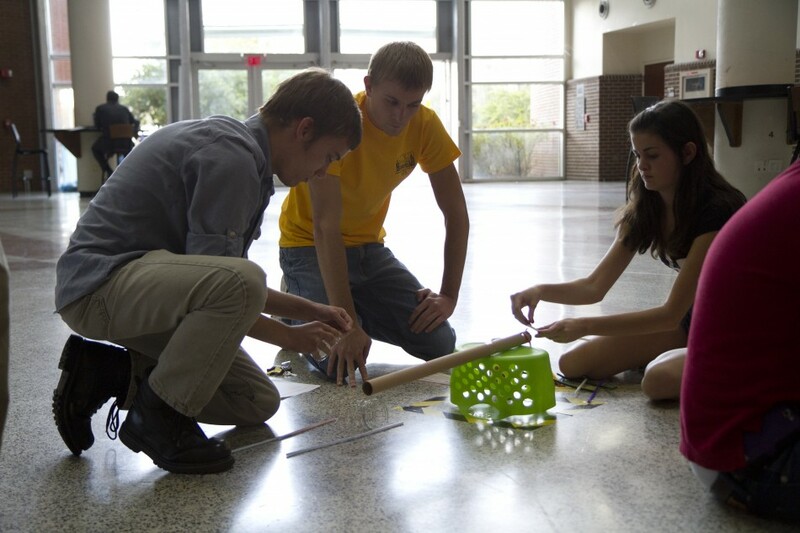 9After 10 minutes of building, the teams were scored and awarded based on height, length, and number of free-hanging parts.